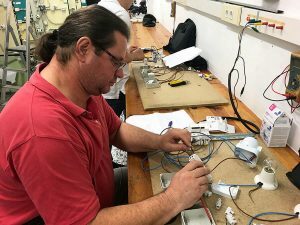 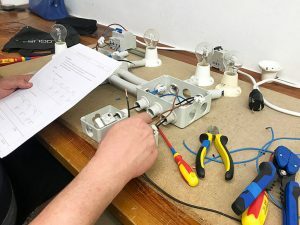 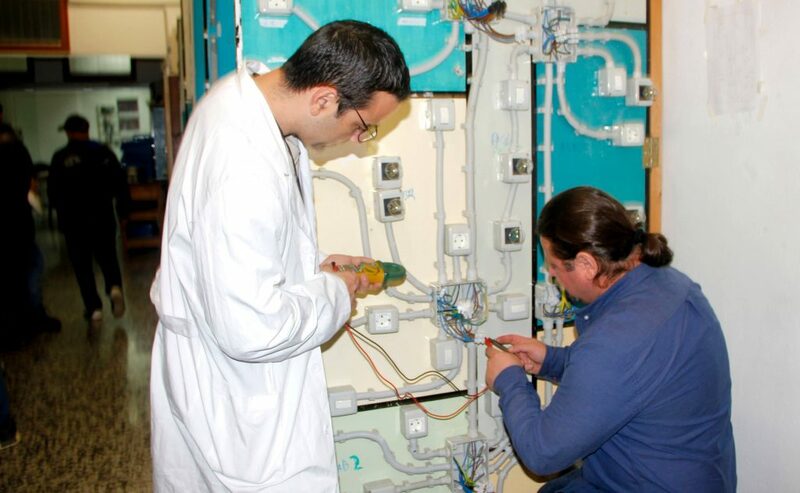 Why start this Low Voltage Electrician Installer Course? 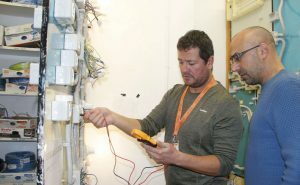 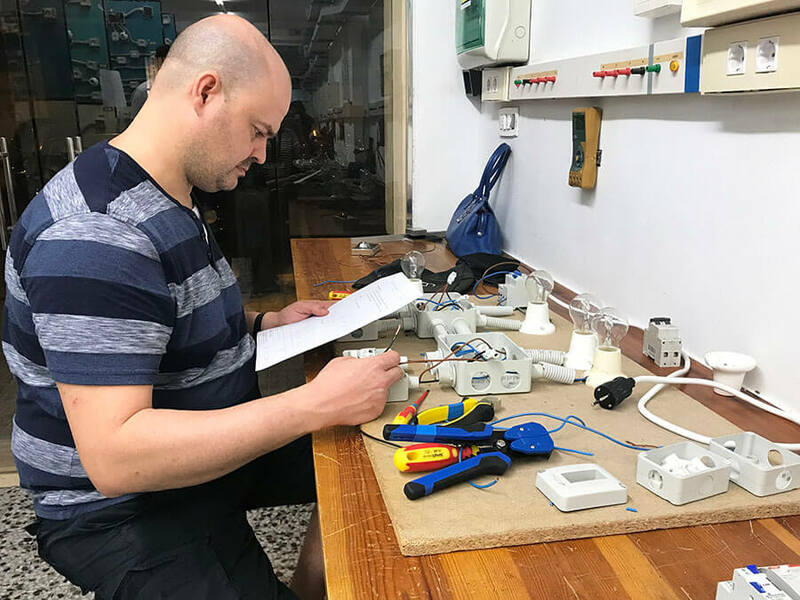 It is not enough to be a great Electrician, a qualified professional is the one who holds the Authorised Installer Certificate in Low Voltage, better known by the old name of Installer Licence. 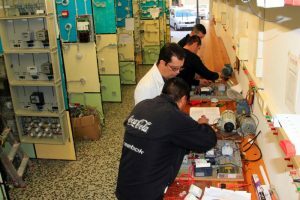 This electrician is the only one who can emit the Certification (old Bulletin) that an electrical installation complies with the REBT. 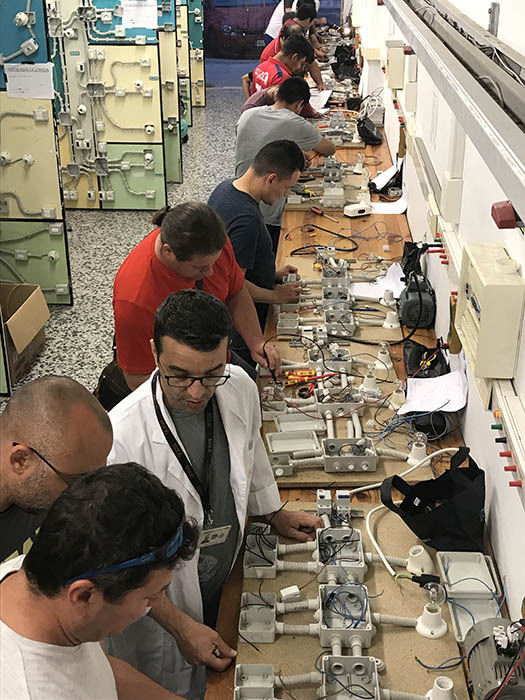 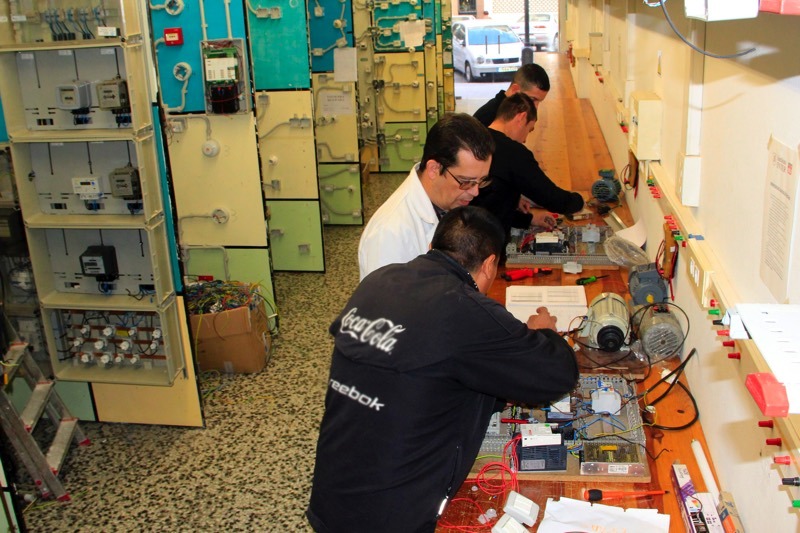 The REBT is the applicable regulation for the legalisation and registration of new electrical installations, their implementation, their extensions, as well as the application of supplies and electric contracts with the electric companies. 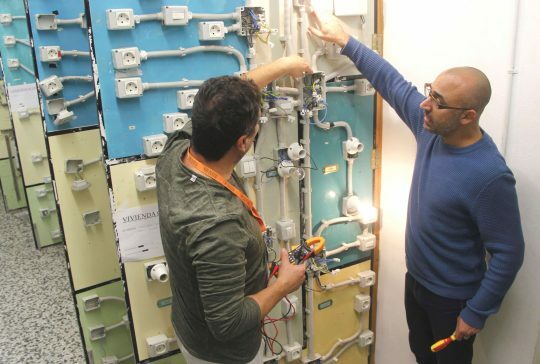 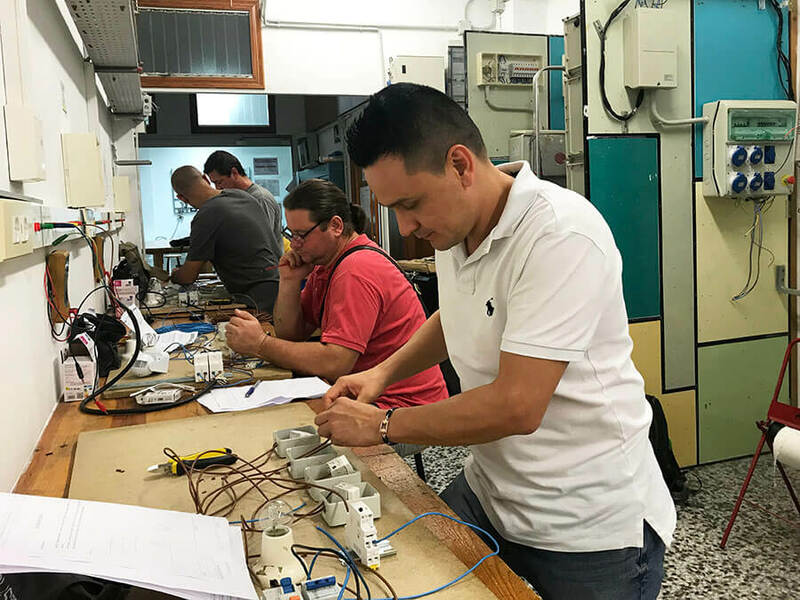 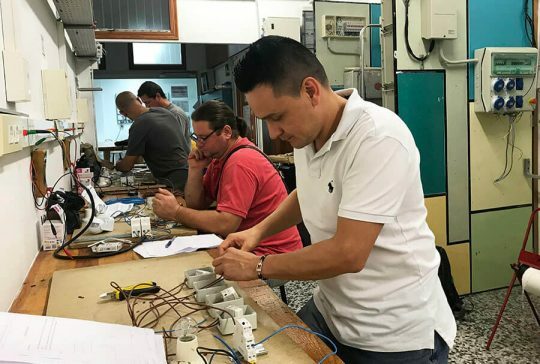 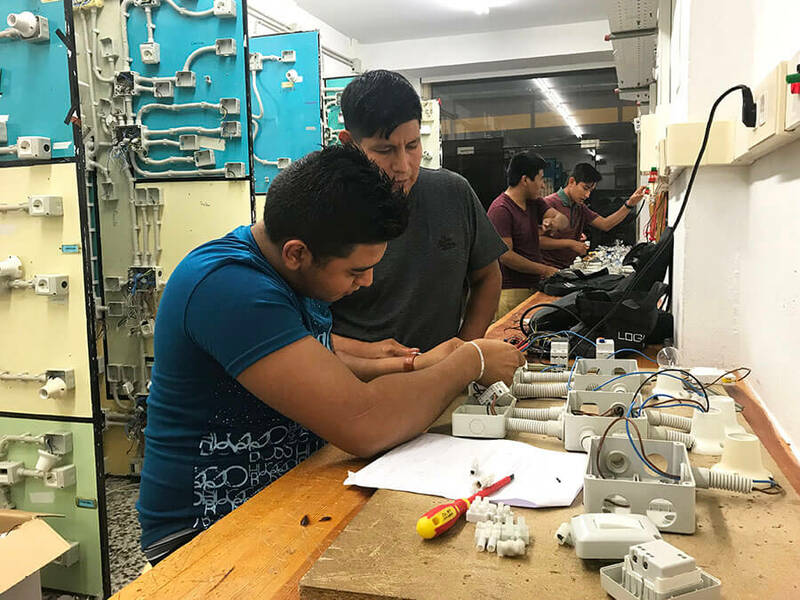 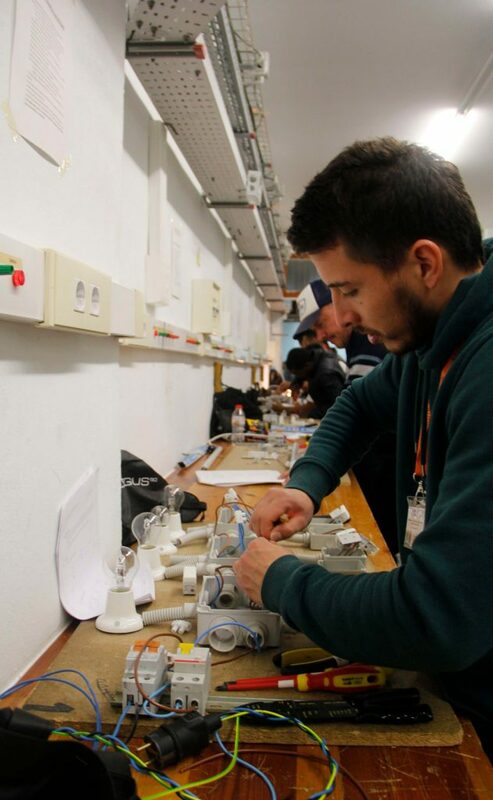 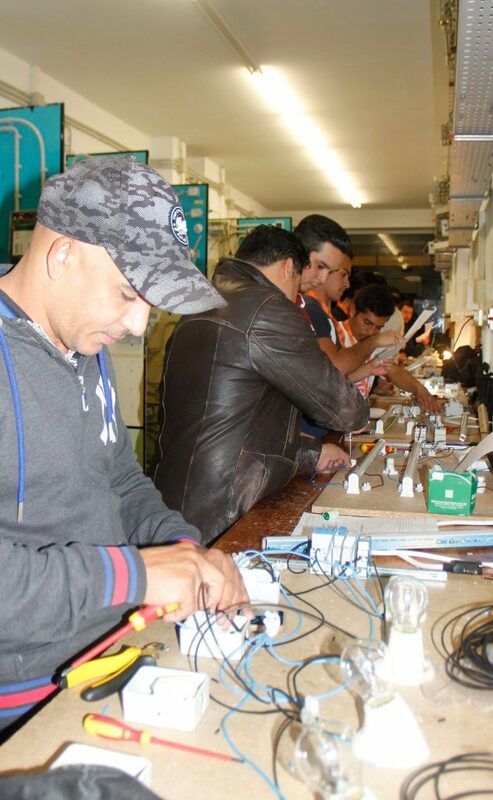 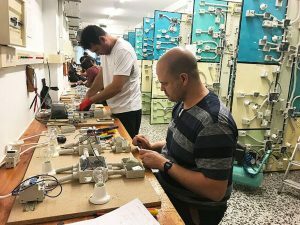 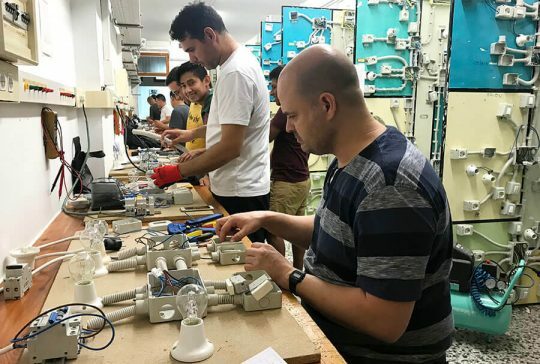 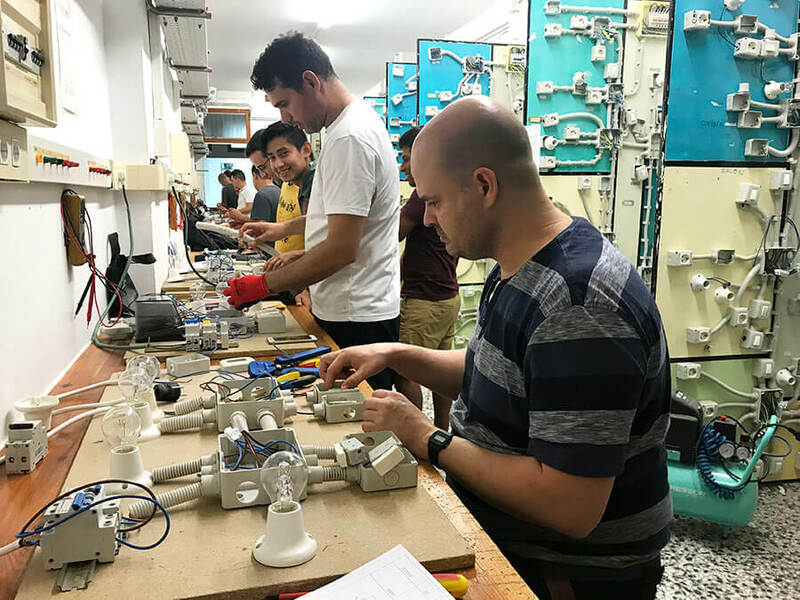 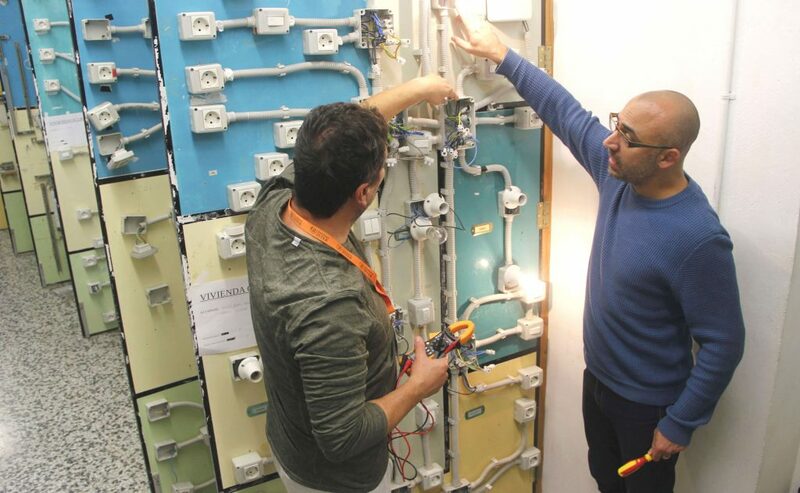 When you pass the Low Voltage Electrician Installer Course at Instituto INTER you will obtain the Official Certificate of Professionalism in Maintenance and Assembly of Low Voltage Electrical Installations, which will allow you to choose professions related to electrical installations in general, electrical installations of buildings and housing and having the capacity to certify that these facilities comply with the REBT. 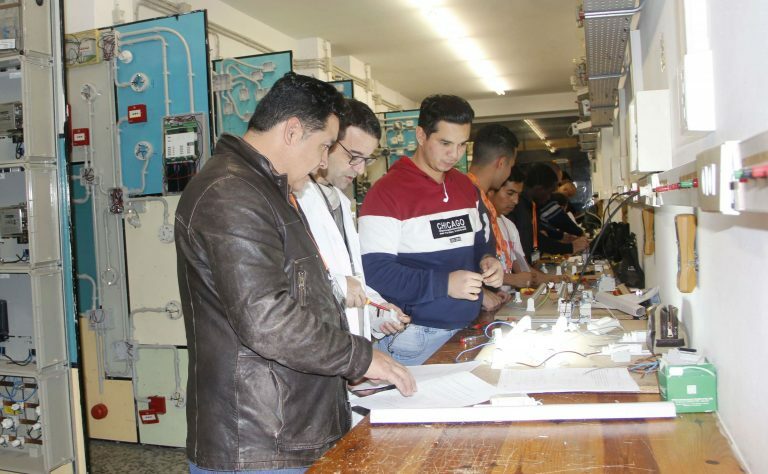 The course has a total duration of 920 hours; of them, 80 of the last Module, will be internships in companies of the Sector. 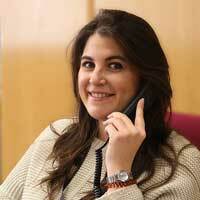 The course is made up of both theoretical and practical classes. You will carry out in the INTER Workshop (180 m2) the assembly, maintenance and repair practices of electrical installations in homes, commercial buildings, offices, industries, automations, etc., and you will use and handle the appliances of the Authorised Installer, such as the earth measuring, the isolation measuring, the analyser, etc. 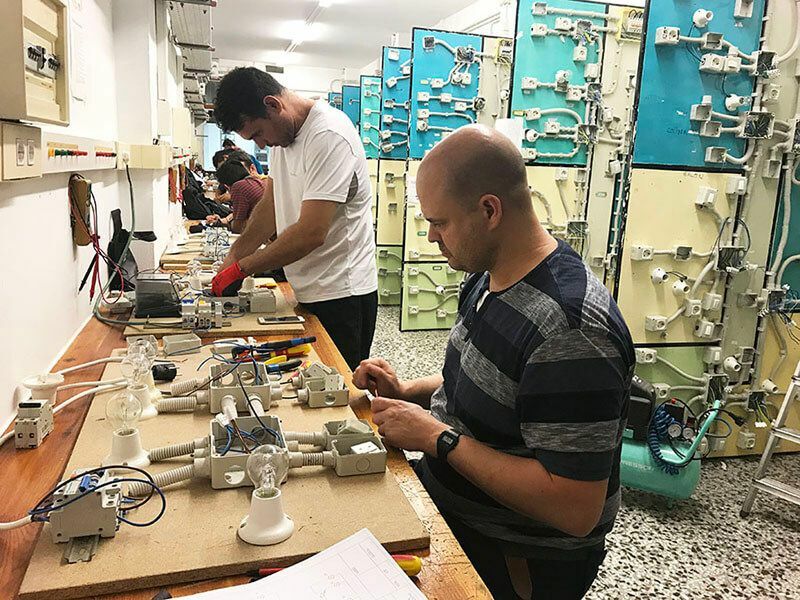 Theory will explain the Standards contained in the REBT and its application, standard projects for the application of the REBT, BAT (Technical Design Reports) essential document to issue later the final Certificate of the installation, etc. But, most importantly: this course allows you to obtain the Low Voltage Licence directly, without having to take the Industry exam. 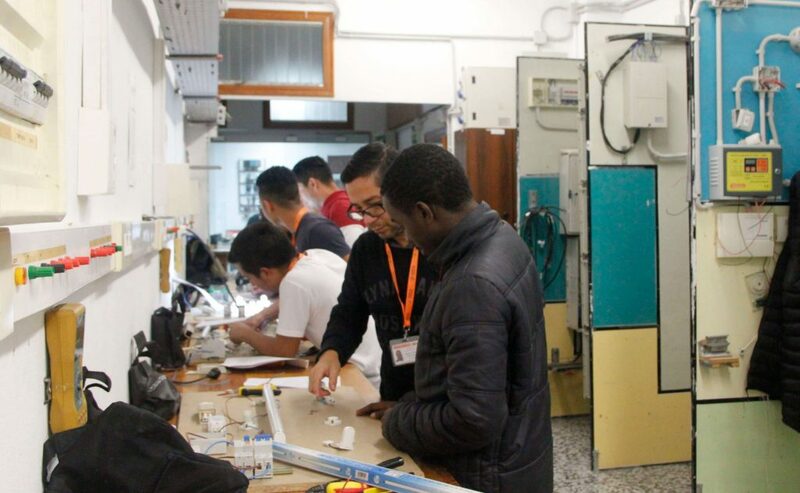 To enter the course you must have the Secondary Education certificate, Intermediate VET Entrance Test, have completed a Certificate of Semi-attendance Level or pass the Key Competency Test.